Having raced and cruised passionately around our beautiful islands, we understand the weather, water conditions and boating lifestyle here. We can relate the stunning features of the Grand Soleil and Sly range to what Kiwis want. We’re here to provide you with first hand product and factory knowledge and would love to have a chat and show you the new Grand Soleil 46 Long Cruise on our dock. 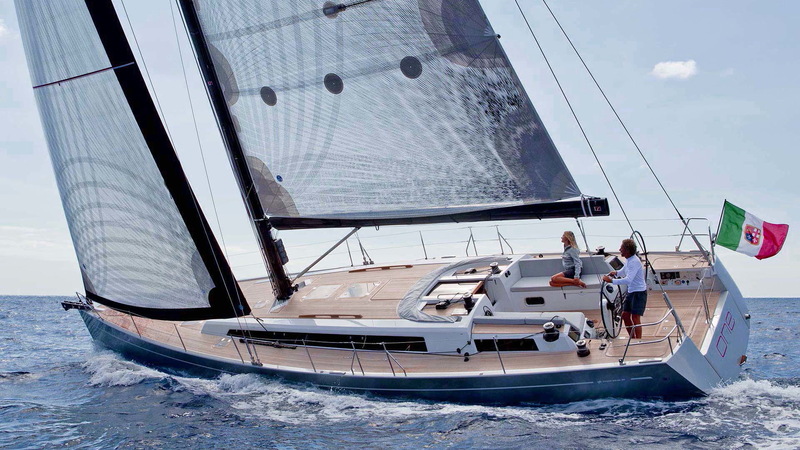 The Grand Soleil and Sly yachts range from fast performance sailing boats to exceptionally comfortable long distance performance cruisers – they are absolutely the complete package. 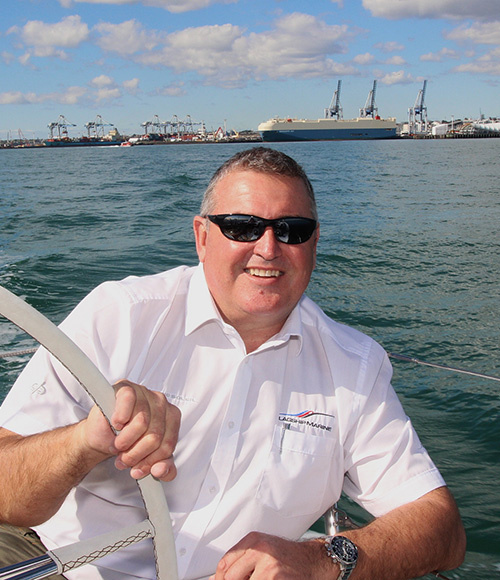 Liam Power has 37 years in the marine industry. 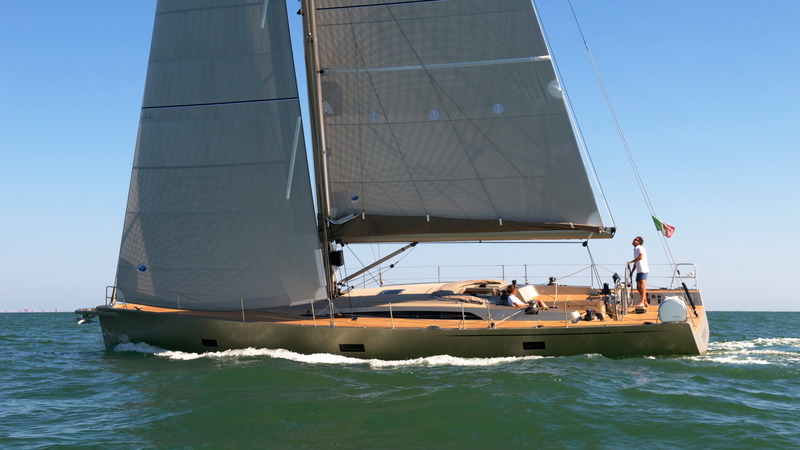 Completing his apprenticeship in boat building with John Lidgard Yachts in custom boat building, the yard was renowned for designing and building power and sailing vessels for coastal and off-shore clients. Over the years Liam has clocked up a number of miles through yacht racing and deliveries with sail and powered vessels, coastal and offshore. After a number of years involved with offshore boat building projects, Liam returned to New Zealand where he joined the Flagship Team in the new year of 2001 and has been with the brand ever since. Our harbour and coastal waters is what Liam loves and to help turn client’s dreams into reality with the brands he represents. Craig began his working life as an apprentice plumber until a Motorcycle accident put him out of action. With his planned career path jeopardized a lucky break came in the form of a job offer as Deckhand on the renowned 70ft Luxury Motor Yacht D’urville. Craig climbed the ranks to become a sought after Skipper. Marine projects and Boat Brokerage sales occupied Craig for two decades prior to purchasing the Boat Chandlery at Westpark Marina to run with wife Tanya for eight years. 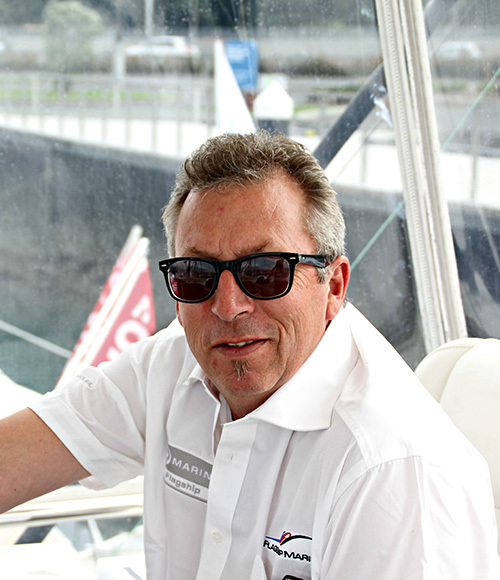 Craig has a wealth of knowledge and contacts in both the sail and power boat circles. Sam has always been passionate about boats and his experiences began at a very young age. His first sailing exploits were in the Optimist Junior class, where success began with a second in the Nationals and a good placing in the Optimist World Championships. He then progressed to the P class where he won the Tauranga Cup for the 75th jubilee sailed in Tauranga. Following that he moved on to the Starling, Laser and 29er classes. In his early days he also set a Guinness World Record for how far you could travel on a gallon of fuel in a small carbon canoe. 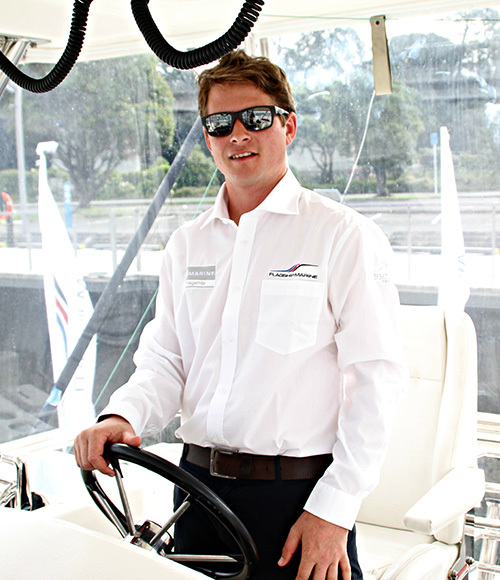 Sam’s passion is diverse and his next dream was to experience Offshore Power Boating. He campaigned in his own boat winning Sports B Restricted classes and soon after became very involved in New Zealand Water-Ski Racing. In this sport he soon set new F2 class records in his boat and still enjoys competing in the river races every year (where he is the team to beat!). 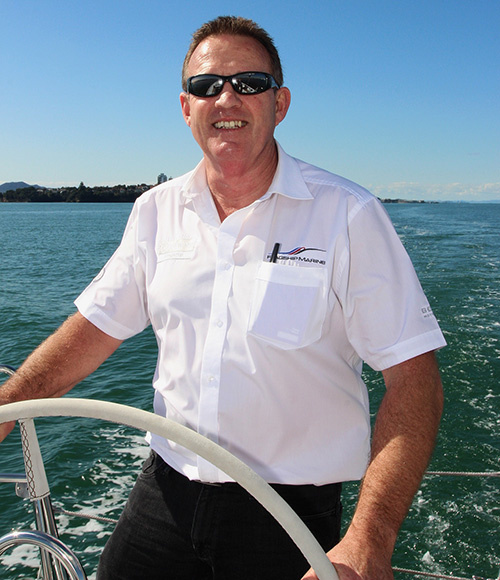 His profession came clear after leaving school; he became a boat builder for Cookson Boats where he was involved in building hi-tech race yachts such as Volvo Round the World yachts & America’s Cup boats for Emirates Team New Zealand. After finishing his 4 year apprenticeship for Mick Cookson he then travelled to Wally Yachts in Italy to build Super Yachts. After returning he has been with Oracle’s America’s Cup team and has worked now for two America’s Cups as a team leader assembling the all new AC50’s . Sam’s progression to the Flagship Marine team is a step he has long aspired to. With his passion for boats and all things boating, he keenly looks forward to learning and developing in a professional brokering role as part of the prestigious Flagship Marine Team. Murray has been on and around recreational boats for 40 plus years. In earlier times, diving/fishing charters were frequent, anywhere from Auckland to Three Kings Islands. Living on Dunk Island in Far North Queensland for 4 years, he regularly filled in as a casual deck hand on the resident game fishing vessel, and helped out on the large Quick Cat with dive charters to the Barrier Reef. On returning back home he had a stint commercial fishing on the Kaipara Harbour. Boating over the last 13 years has been shared with long-time partner Jen, teaching their two young sons the art of fishing and water skiing. Spare time sees them sharing in numerous family activities, including riding mountain and dirt bikes, water sports, snow skiing in winter and many more. They love entertaining and socialising with great friends and family.